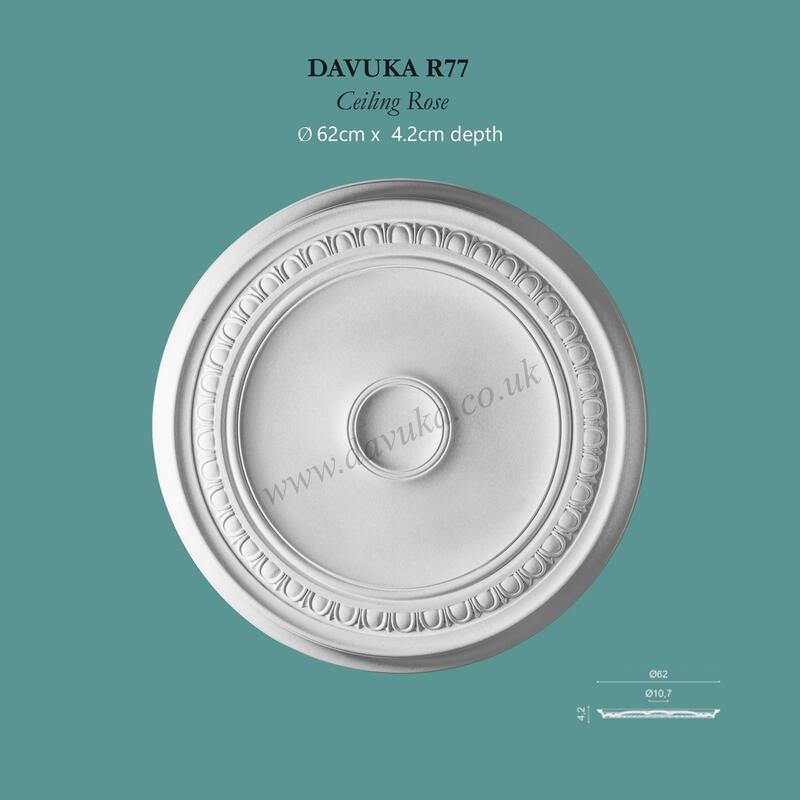 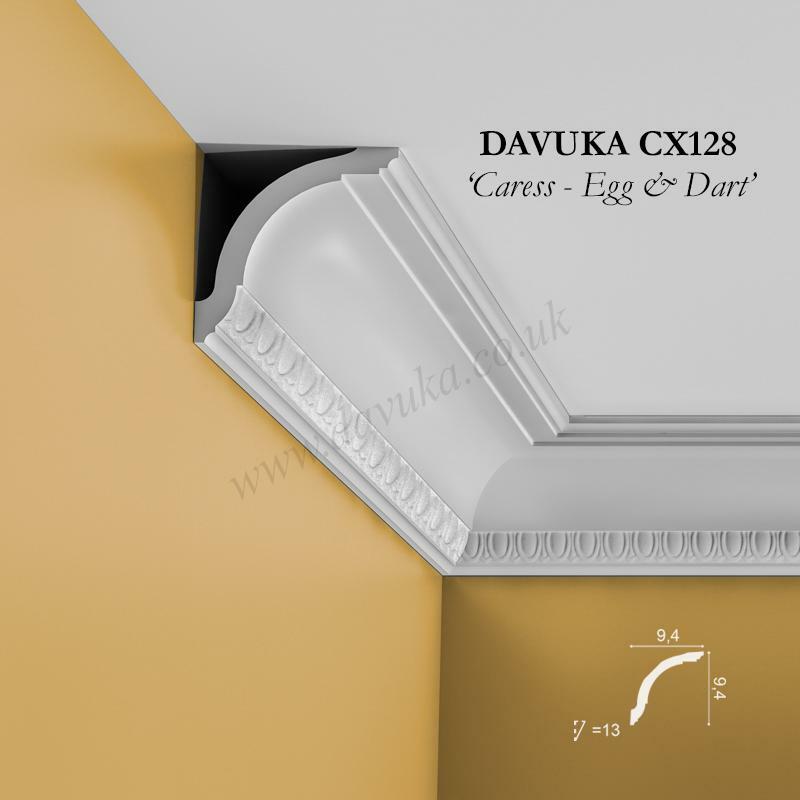 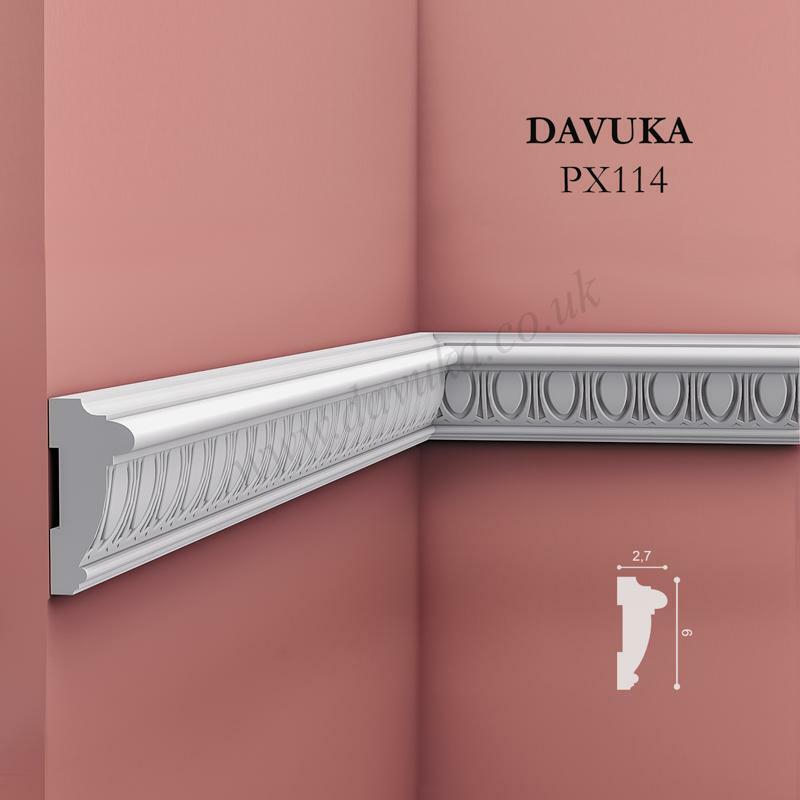 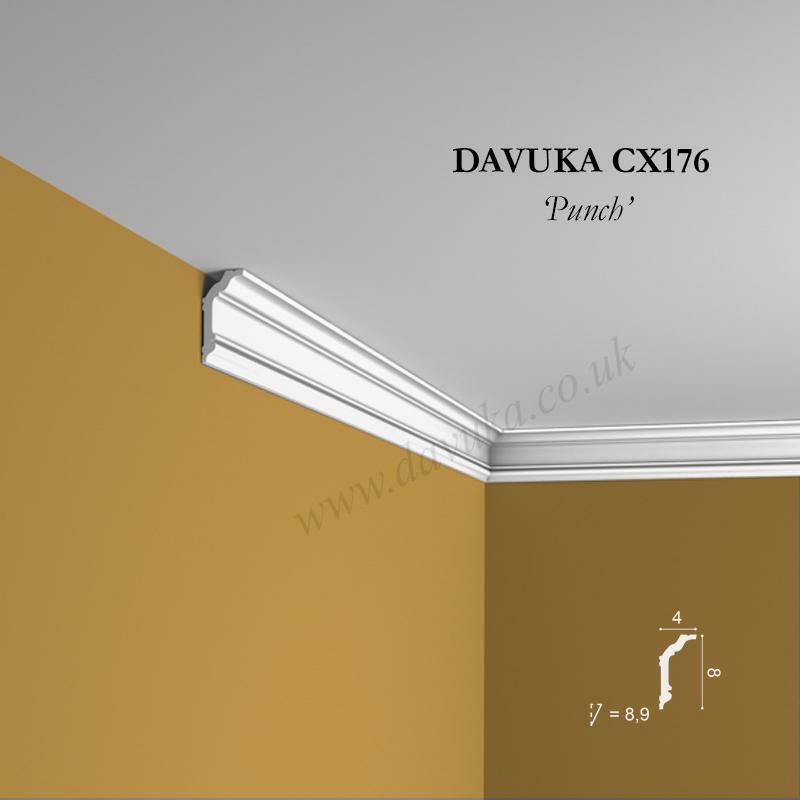 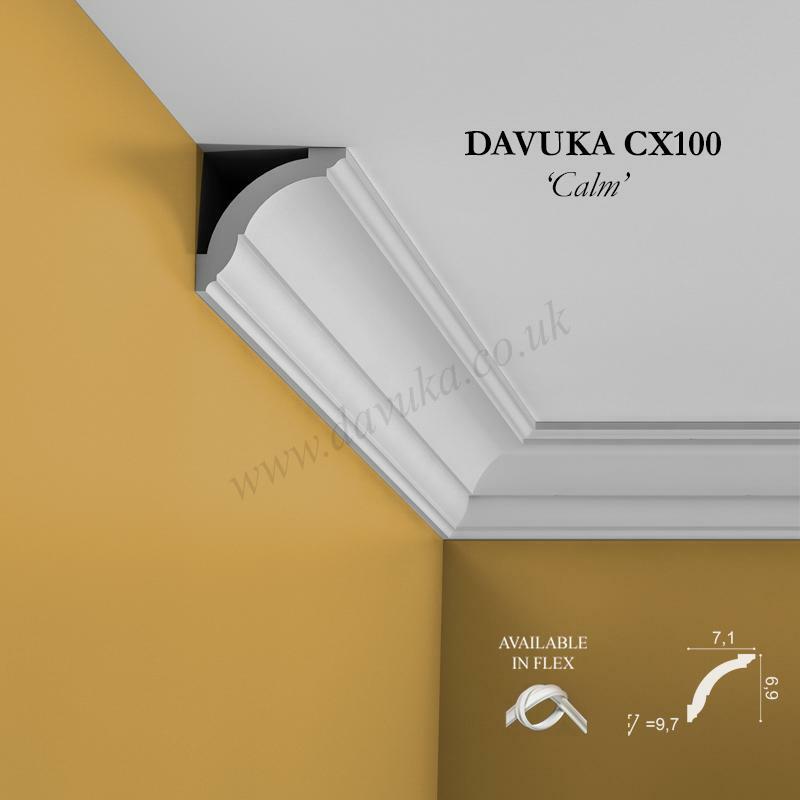 As per the CX100 ‘Calm’ but with the addition of a simple ‘egg and dart’ style pattern for those who like some period detailing in their coving. 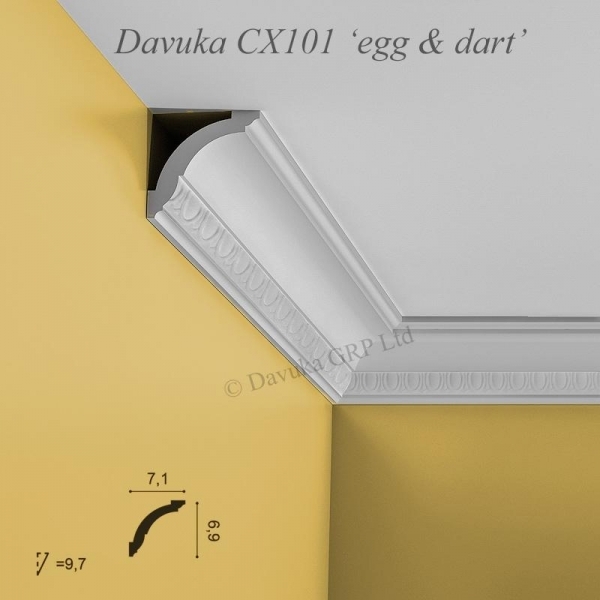 See also slightly larger CX128 further on. Using the Correct Jointing and Mounting Adhesives for the CX101 ‘Calm – egg and dart’ coving- IMPORTANT!